So Gaffey / Alek had an idea and wanted to see if it could be implemented. He asked, so I posted this topic for him. Please read his own post and such before voting! There are two teams the pokemorphs and the humans that fight for each of the teams flags. The team must catch three flags to win the games, when the games were created it was for pokemorphs and humans to fight. These games are for not only the rewards but for the fun of being able to attack pokemorphs or humans and get away with it. there is no killing in these games though and the humans can use there pokemon but the pokemorphs can't use theirs. The humans also get blunt weapons aswell cause lets face it pokemorphs would kick the humans asses without them. 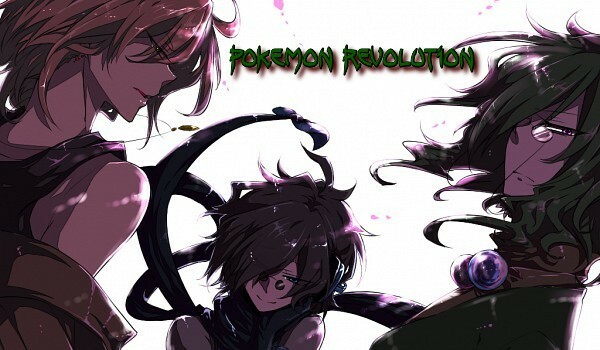 So lets get back to the teams there are two teams Pokemorphs and Humans or Red and Blue. The flags are placed in the area were the team's base is which is just a hill or high placed area there is no flying or the use of the move dig you can use the area to you advantage making traps and other items. There are tunnels under ground that can only be found at the Garage which is hidden on the arena and is very hard to find. there will be a chance to meet up with the team in The Starting Area so that you can know your teammates. I am more than up for it with jessie assuming the topic with paz ends in time. So Far it's all Yes's and Awesome Ideas two more people saying they can join and we can have our selves a merry lil capture the flag mas. Also you can play as more than one charecter forgot to mention. Syndra isn't completely put together yet, but I think she'd love the idea of beating the crap out of some morphs.